Jacinda Ardern says New Zealand is opposed to the militarisation of the Pacific. The comments came after reports China has approached Vanuatu about building a permanent military presence in the South Pacific. While no formal proposals have been put to Vanuatu's government, there have been discussions between China and the island nation, and senior security officials believe Beijing's plans could culminate in a full military base. A base less than 2000 kilometres from the Australian coast and 3000km from New Zealand would allow China to project military power into the Pacific Ocean and upend the long-standing strategic balance in the region. On Tuesday, Ardern said New Zealand kept a watching eye on activity within the Pacific. The prime minister said she could not comment on the validity of the report, and her comments were in response to media reports. 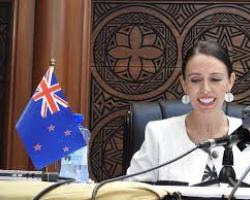 If the reports were correct, New Zealand had a number of ways it could raise its concerns, including in bilateral discussions, she said. If the military base went ahead, it would be an expansion of China's military foothold overseas. Multiple sources told the Sydney Morning Herald Beijing's military ambition in Vanuatu would likely be realised incrementally, possibly beginning with an access agreement that would allow Chinese naval ships to dock routinely and be serviced, refuelled and restocked. Tonga had also been mentioned in government circles as a possible site for a Chinese base, though recent discussion had centred around the intense efforts China had put into Vanuatu. Defence experts said a military base on Vanuatu, which would likely be followed by bases elsewhere, would allow the The Chinese People's Liberation Army to challenge the US' post-war dominance of the Pacific, which is strongly supported by Australia and New Zealand. China reportedly accounts for nearly half of Vanuatu's $463 million foreign debt. The military base in Vanuatu would be the latest in a number of infrastructure projects the superpower has funded throughout the Pacific as part of its controversial global Belt and Road - or One Belt, One Road - plan. Ahead of the New Zealand Government's Pacific Mission in March, Foreign Minister Winston Peters spoke about the Pacific becoming a "contested strategic space". While Peters did not say it in as many words, he was in part referring to the growing influence of China in the region. The mega power has been moving to gain more of a foothold in the region, and play a larger role in economic and infrastructure development in the Pacific. Symbolic buildings, including court houses, police training stations, and executive buildings. During the speech to the Lowy Institute, Peters said New Zealand was undergoing a Pacific "reset" and asked Australia work alongside it in the region. National foreign affairs spokesman Todd McClay said Vanuatu would have to consider any impact a Chinese military base could have on its sovereignty. “We've got to be careful with these things, the Pacific is a very peaceful place, Vanuatu is a country New Zealand has a strong relationship with, I'm sure the Government will want to talk to them about their views before anything goes ahead. McClay said the US had military research bases in the Pacific, which had been there since WWII, but no one would want to see more countries moving military bases, or weapons into the Pacific. National leader Simon Bridges said Vanuatu had to think through any proposals, and work out what they got out of it, before making a decision. “And also, frankly speaking, the sovereignty issues of having a foreign country, on their soil, doing that sort of thing,” Bridges said. “To see infrastructure investment by other countries, through a variety of investment vehicles, is not uncommon. That's not necessarily a wrong. But Bridges said there was “a spectrum to these things”, and gave the example of a proposal under the former National Government for Singapore to set up a permanent air force base in New Zealand, following an earlier agreement for Singapore's pilots to train at the Ohakea Air Force Base in Manawatū.